Aventura Arts & Cultural Center Presents Hooray for Love! In a special Valentine’s Day treat, The City of Aventura presents Hooray for Love! : A Celebration of Love in Song at the Aventura Arts & Cultural Center on Thursday, February 14 at 8 p.m. 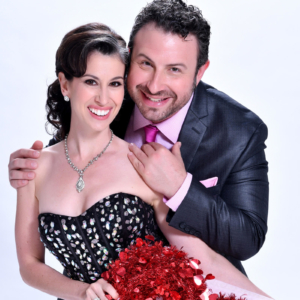 Direct from New York City’s famous cabaret spot Don’t Tell Mama, Natalie Cordone and Shawn Kilgore combine romance, witty banter and powerhouse voices to bring sophisticated pop music to life. Backed by a swinging trio of stellar jazz musicians, they celebrate Valentine’s Day with favorites including “Hello Young Lovers,” “So in Love,” “All I Ask of You,” “You Make Me Feel So Young” and many more. Tickets are $40–$45, a $130 “Sweetheart” package includes two premium seats, two splits of champagne, chocolates and two roses. Ticketmaster is the only official ticketing service of the Aventura Arts & Cultural Center. Buy tickets online at aventuracenter.org, by phone at 877.311.7469 or 954.462.0222, or in person at the Aventura Arts & Cultural Center box office Tuesday through Saturday from noon to 5 p.m. and 90 minutes prior to each performance. For Group Sales, please call 954.660.6307.
https://piersongrant.com/wp-content/uploads/2016/10/pg-logo.png 0 0 Christopher Pierson https://piersongrant.com/wp-content/uploads/2016/10/pg-logo.png Christopher Pierson2019-01-15 14:43:362019-01-15 14:43:36Aventura Arts & Cultural Center Presents Hooray for Love!